Guests can enjoy a variety of amenities including an ocean view swimming pool, a state-of-the-art fitness center, and over 25,000 square feet of indoor and outdoor banquet facilities. With sweeping views of crystal beaches and the Pacific Ocean atop a series of gently rolling berms in sunny Southern California, Cape Rey Carlsbad is the destination for luxury. For adventurous types we outfit you for local deep-sea fishing, sailboat cruises, horseback riding, paddle boarding, snorkeling, surfing lessons, and kayak explorations. Exclusive private business and dining club with Private rooms available to non-members. Complete with breathtaking panoramic views of downtown San Diego, The University Club atop Symphony Towers is the perfect backdrop for hosting your event. The Club offers a beautiful selection of full-service private party and event rooms, which accommodate up to 300 guests, as well as a variety of amenities to make your event complete. From breathtaking views to fantastic cuisine, our experienced service staff and event planners stand ready to give you all the information you need to design a special event that’s sure to please every time. The Handlery Hotel San Diego has built our reputation on a family tradition of hospitality, attention to detail and phenomenal food. 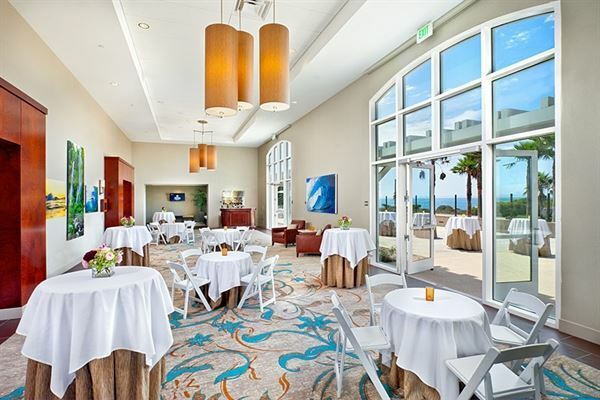 With 217 guest rooms and 18 unique event areas encompassing 42,000 square feet of indoor and outdoor space, the Handlery Hotel San Diego is the perfect place to meet or celebrate. Embracing the beauty of simplicity, Farmer’s Bottega is taking the “farm-to-fork” culinary trend and transforming it into a necessity that’s here to stay. Located in Mission Hills, guests relish in carefully crafted fare where the food is as organic as the vintage, reclaimed décor. Upon entering the intimate eatery, the vintage décor creates a rustic ambiance like that of a real farmhouse. From a treadle sewing machine to a 40-year-old table-top recovered from the ocean, these warm details of Farmer’s Bottega radiate authenticity. The Edison bulbs dimly glowing from iron chandeliers, and the hollowed wine barrels, produce a warm and welcoming atmosphere.